In 1997 contrary to his doctor and psychologist’s predictions of life-long suffering, Charles Linden cured his anxiety, panic attacks, agoraphobia, OCD, Pure O, agoraphobia and all the symptoms and thoughts that had plagued him for 27 years of his life. He had received every treatment available and like most sufferers, continued to suffer with little promise of truly curative treatment options. Charles the created a group of resources to give away to other sufferers and they all experienced dramatic results, feeding back data to Charles and making demands on his time for bespoke advice, reassurance and guidance. Charles continued to develop more and more resources for his growing group of clients, taking on psychologists and psychotherapists with the necessary skills to communicate his Methods to his clients and to provide professional support and guidance as required. Since then, Charles’ programmes have become respected anxiety recovery resources and accredited recovery programs for the treatment of anxiety disorders, depression and general life issues. Charles is an anxiety disorder recovery expert who has helped people from A list celebrities in Hollywood and TV personalities, recording artists, sports-people and thousands of clients from around the world. 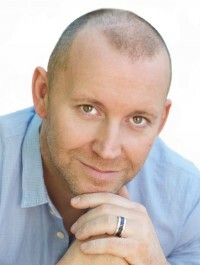 Charles runs a private practice in the Midlands and Harley Street London, International Anxiety Recovery Retreats and Workshops visited by people from every corner of the world and has a large and prestigious group of celebrity supporters and international clients he sees both in the UK, Europe and the USA. Charles and his team are consultants to media, celebrities, broadcasters and organisations around the world and the international reputation and reach of the programmes, books, videos, DVDs, TV series and hundreds of media resources is unmatched internationally. The development of the LAR Practitioner Accreditation programme in 2013 means that practitioners around the world can become members of a global family of TLM Anxiety Recovery Coaching Practitioners; The accreditation is available as a conversion certificate or an NCFE Level 4 qualification. TLM have also recently developed an NHS or privately delivered program of anxiety recovery that is ready to go to market and will save NHS and private practice around 60% of their current mental health budgets. The opportunities are vast, both socially and financially and the potential for TLM to become the preferred anxiety recovery treatment in every healthcare setting internationally is not only possible but becoming a reality. Our Linden Method program aligns with NICE and IAPT guidelines and is ideal for implementation into any corporate, educational, NHS or uniformed services setting. The quantity of high quality media, coupled with audio, written materials and programme structure and content is internationally unmatched. Our organization is unique internationally… why? a Residential Retreats and Workshops program that has been completed by thousands of people from a round the world.